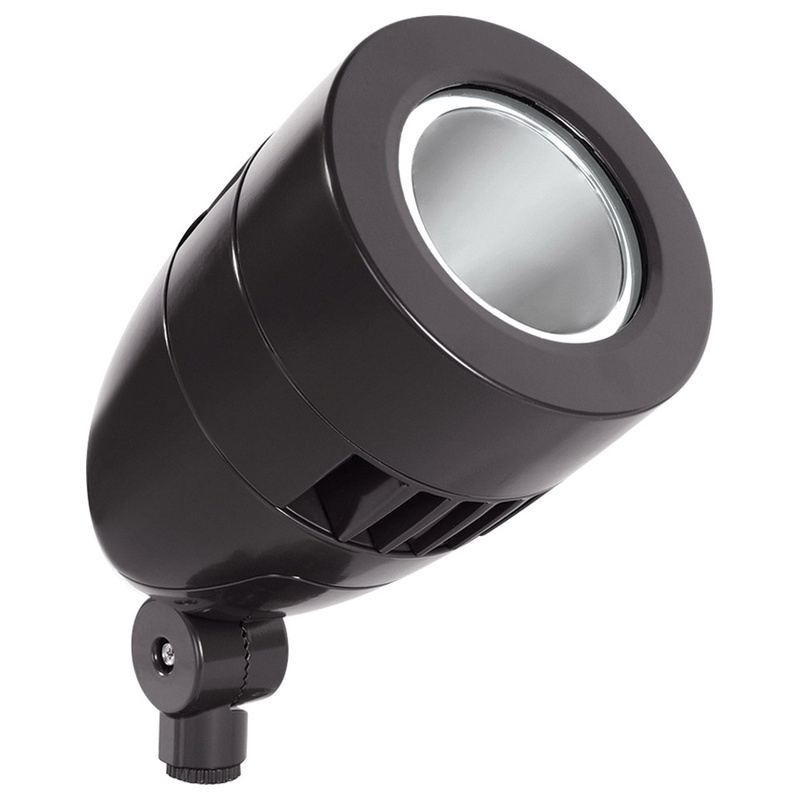 Rab LED spotlight in bronze finish, has die-cast aluminum construction for added durability. The diffuser lens shade ensures uniform light distribution. It has high-temperature silicone gasket. The bullet shape spotlight has one 26-Watt LED lamp that delivers a neutral white light output of 2093-Lumens with 4000K color temperature and 81 CRI. It has an efficacy of 78.1 LPW and THD of 9.1% at 120-Volts, 9.2% at 277-Volts. It has a voltage rating from 120 to 277-Volts, current rating from 0.24 to 0.11-Amp and fixture wattage of 26.8-Watts. It has an average life of 100000 Hours. It features constant current driver. 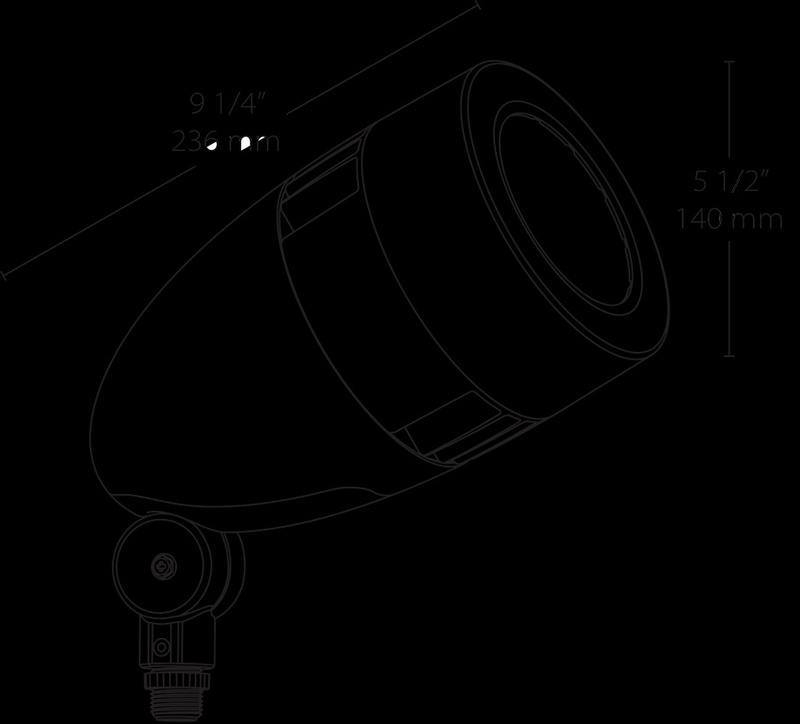 The arm mount spotlight measures 9-1/4-Inch x 5-1/2-Inch. It is suitable for flag lighting. LED spotlight meets IESNA LM-79, LM-80, RoHS and UL standards.